All of us can do with a Shark vacuum in our homes. 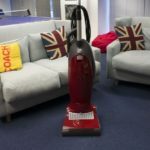 Apart from performing brilliantly on all surfaces, the best Shark vacuum cleaners have incredible suction power, extreme maneuverability and are a cinch to clean. 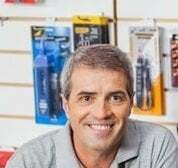 Add to this their wide range of products – lift away, upright and cordless – and you can’t just go wrong with Shark vacuum cleaners. Nodding your head in agreement? Want a Shark Navigator for home? Then you’ve certainly arrived at the right place. 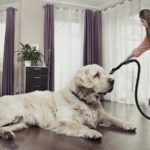 Most of the vacuums nowadays fare poorly when it comes to cleaning pet hair. However, as suggested by the name of this model, it won’t falter. 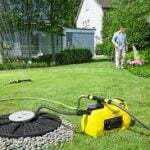 The best aspect about this Shark rotator vacuum is undoubtedly its versatility. For, while it comes across as an upright model, you can easily convert it into a canister. 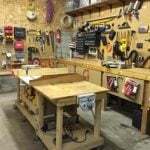 What’s more, you can even use its main floor tool – which is there for bare floors – while doing so. 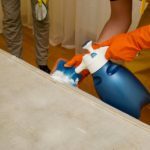 As a result of this feature, you don’t have to move aside the furniture while cleaning your room. Instead, just remove the canister out of the way, and you’ll have only the base and the wand to deal with. The Shark TruePet NV752 is useful for taking dirt off three specific surfaces: carpet, upholstery, and bare floors. When using it on the carpets, its main motorized tool – which has soft bristles – agitates the carpet to force it to give up dirt. It also has a low-pile carpet setting for rugs and a high-pile carpet setting for thick carpets. Cleaning upholstery with this model – or any model, for that matter – requires a pet hair attachment with soft bristles. Fortunately, the NV752 provides just that. And if you want to clean bare floor surfaces, the Main Floor Tool and Hard-floor Genie Attachment of this vac will come handy. For those of you who have asthma or allergy sufferers in your home, the HEPA filter in this model gives you an extra reason to buy it. By entrapping dust and dander, this filter makes sure the air that goes out of the Shark vacuum is clean. The Anti-Allergen Complete Seal Technology is another notable feature of this model. Supplementing the effectiveness of HEPA filter, it makes sure that the vacuum doesn’t allow any dust it has trapped to go out. Consequently, you can be sure that your indoor air is cleaner after using this model. Provided you intend to use this model as an upright vacuum, you might not find it pleasing to note that it is considerably heavy. In contrast to other models in this review, the Shark Wheeled Canister isn’t a vacuum. Instead, it is a caddy designed to carry around your existing Shark Lift-Away vacuum. Even though this caddy weighs only 2.05 pounds, it is incredibly sturdy. How? It has a full plastic body secured in place by long-lasting bonding. It has a well-designed hook which makes sure your Shark Lift Away stays in place. It doesn’t matter which vacuum you buy; almost all of them don’t have enough space to store all our accessories. The Canister Caddy solves this problem by providing extra space for accessories. Use this space, and you’d never have to manually carry your vac’s attachments again. As one might expect from a carrier, the Wheeled Caddy is ultra-maneuverable. However, it isn’t only its wheels which make this unit easy to move around. Instead, it is its shape – as the front of the caddy forms a uniform contact with the ground. In case you were wondering this caddy works was compatible with only one model, think again. 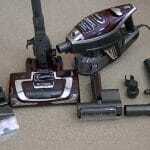 It carries various Shark vacuum cleaners including NV650, N NV650W, NV651, NV652, NV750W, NV751, and NV752. Some users have complained that this caddy doesn’t allow them to wind their vacuum’s cord around anything. 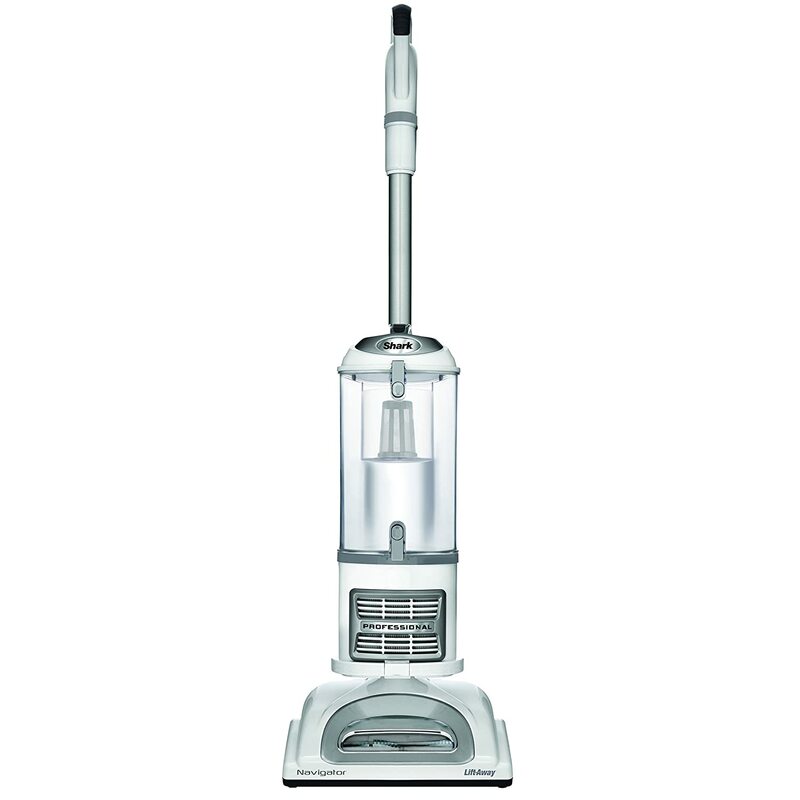 The Shark Navigator NV356E is a high-end vacuum with all the bells and whistles which you come to expect from this brand. However, that doesn’t mean that it will cost you to rob a bank. The Shark Navigator Vacuum relies on a Never Loses Suction Technology which does exactly what it claims. Aided with a bottom-empty bagless dirt cup, the model provides uniform suction throughout the cleaning process. That means you won’t have to empty its cup for the vacuum to retain its suction power. In terms of filtration efficiency, two features of the Shark Navigator make it worthwhile. First, it has Anti-Allergen Complete Seal technology to prevent dust and dander from escaping. Second, it has a HEPA filtration system to prevent flare-ups of asthma and allergies in your home. Impressively for a lift-away vacuum, the Shark Navigator works well on both bare floors as well as carpets. That is, because, it has a Dust-Away attachment with 2 microfiber pads and a Pet Power Brush. While the former comes handy on bare floors, the latter proves its utility on thick carpets. In case you’re wondering, there are two features of this model which make it ultra-maneuverable. First, it has a swivel steering which gives you full control over the vac while you maneuver it around. Then comes the 30-foot long power cord using which you won’t have to switch outlets while cleaning a large-sized room. Apart from being large in number, the utility of attachments which come with the Shark Navigator Vacuum is unparalleled. Take the example of the crevice tool, for instance, using which you can clean tight spaces. Also provided is a Pet Power Brush to clean after your furry friend. You also get a dusting brush for cleaning upholstery and a bag to carry all accessories. Some users have noted in the Shark Navigator reviews that it produces a high-pitched noise during operation. Featured a plethora of attachments, a fully redesigned brushroll and small improvements to its technology, the DuoClean is a good piece of cleaning equipment. That means this new Shark Vacuum has got the latest features on offer. Starting with the best this model has to offer, and its cleaning power comes into play. It relies on the newly improved brushroll and bristle brush of this model for its effectiveness. Both of them combine to create a pull effect to collect all the particles in their reach. What’s more, 2 suction modes are also on offer with the DuoClean. You can use the first suction mode for cleaning small area rugs and bare floors. The second, meanwhile, uses the full power of the vac’s motor to clean high pile carpets. Compare it with its previous model, and you’d see that the 600W input power of this model is at least 100W more than what is provided by its predecessor in the HV320 series. That extra power allows this model to collect both large and fine dirt particles. Its bin capacity, meanwhile, stands at 0.25 gallons or 1 dry quart. Once again, it has improved on this count as well, since the bin capacity is twice as much as its predecessor. You can rely on the bin to easily vacuum 5-6 medium-size rooms without any problem. Filtration is one thing where the Rocket series has always disappointed. Unfortunately, the DuoClean makes no exception. It houses 2 regular filters – one before the motor and one after it. 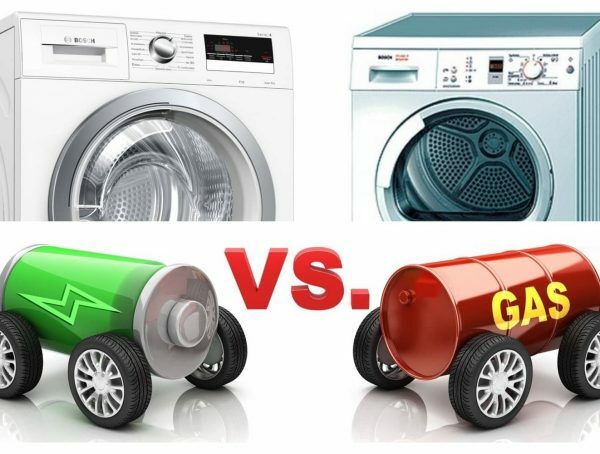 None of them is HEPA though both of them are washable and require regular cleaning for good performance. In terms of accessories, this model hits the ball out of the park. 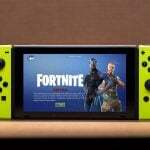 For, it provides 9 – yes, NINE – different accessories in its package. 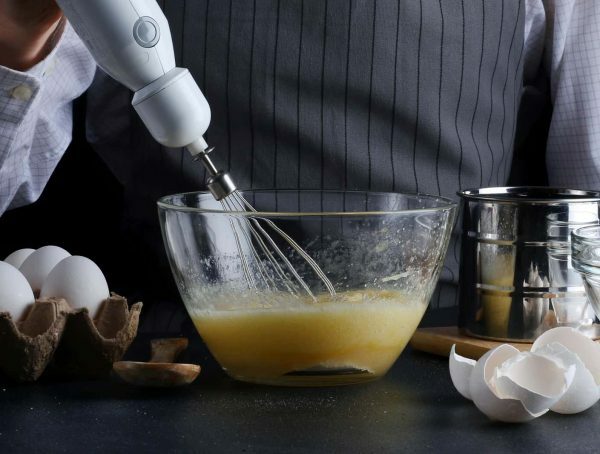 Notable among the accessories is a TruePet Motorized Brush, a crevice tool, a dusting brush, and an under-appliance wand. The manufacturer of this unit provides a 5-year limited warranty on this model, as well as all the attachments that come with it. The absence of HEPA filter means that not everything is high-end in this model. 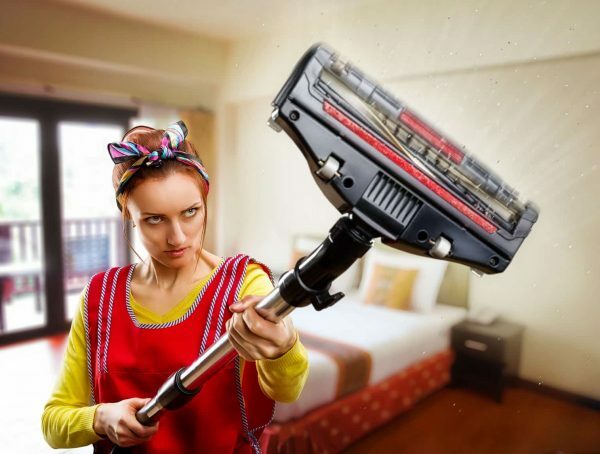 Looking for a vacuum which, among other things, sweeps away its competition as well? Assuming your answer to this question is in the affirmative, the Shark IONFlex is what you need. Just like the Shark DuoClean mentioned above, the IONFlex features a double brushroll – a bristle brushroll for carpet cleaning and a soft brushroll for hard floors. Both of them require manual replacement, with the bristle brushroll agitating the carpet to force it to give up dirt. If you were wondering, the term IONFlex in the Shark’s name isn’t merely a marketing gimmick. The ION in the term refers to a rechargeable Li-ion battery in this model, which lasts 30 minutes on an average. The Flex, meanwhile, points to a joint in the vacuum extension hose. This joint allows the vacuum to bend, hence making it easier for it to reach under furniture. First among the cleaning modes is the upright mode which allows easy transition between carpets and bare floors. Secondly, we have the Reach Mode which uses the MultiFLEX technology to bend the vac’s wand to make sure it accesses hard-to-reach areas. Finally, you can also carry out above-floor cleaning with this model since it easily transitions into a handheld model. 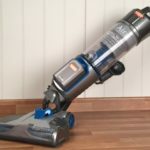 This Shark cordless vacuum relies on an anti-allergen complete seal technology to prevent dust which has entered the vac with the air from going out. In this way, you can be sure that your indoor air is cleaner after using the vacuum. The washable foam filters are also there and require regular cleaning to maintain suction power. Since it is a cordless model, the problem of having batteries which require periodic replacement is a given with this vacuum. 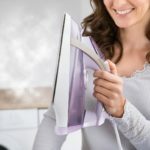 Grown tired of cleaning your home every day? Want a vacuum which could do all the work while you sit around watching television? Guess what, the Shark Ion Robot does exactly that. Measuring 2.6-inches in height and 12.6-inches in diameter, the Shark Robot is smaller than the Roomba – another highly-rated robot vacuum. That means when it comes to cleaning under furniture, this Shark rotator leads the way. As is the case with most robot vacuums, the RV750’s major component is its 11’’ brush with self-cleaning bristles. They are equipped with spinning side-brushes which pull dust and dirt into the part of the robot, which then gobbles up debris using the self-cleaning bristles. Straying into the unwarranted territory is the major reason customers give when not choosing a robot vacuum. Fortunately, thanks to its bot boundary strips which are equipped with sensors to keep the Robot away from edges, the RV750 vacuum doesn’t suffer from the problem. 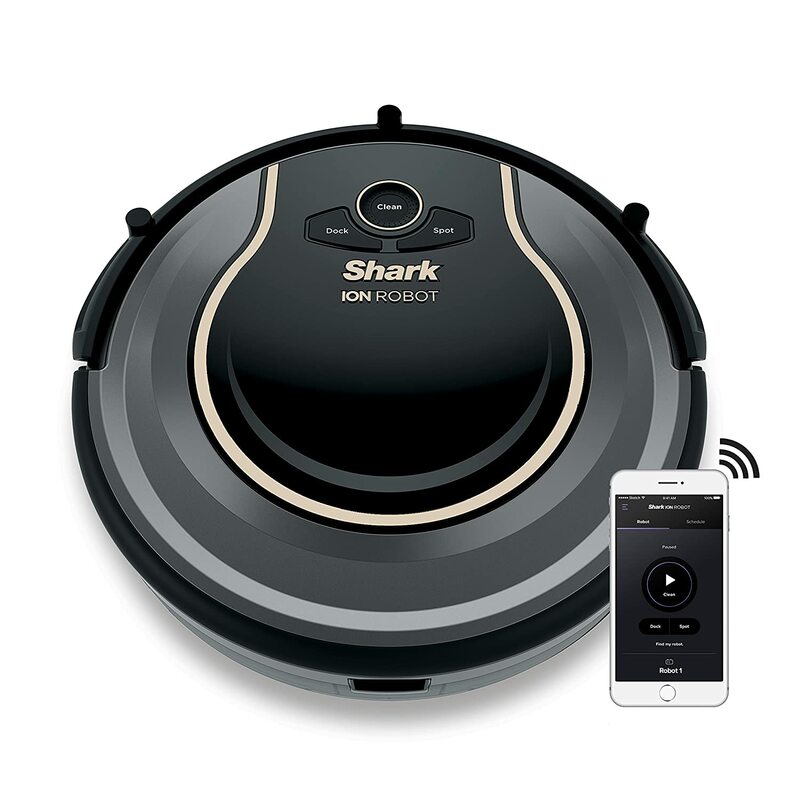 Even though you can also control it by a cleaning button – mounted on top of the robot – what is certainly more convenient is the Shark’s mobile app. Or, if you have Alexa at home, you can use the voice assistant to instruct the Robot to clean, go back to its dock station or carry out the concentrated cleaning of a specific area. 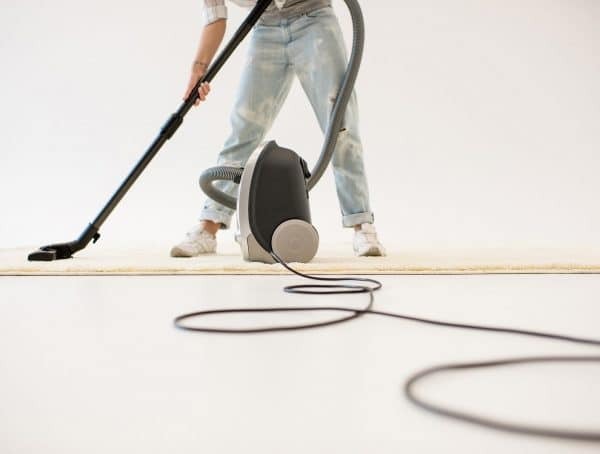 Even though this model doesn’t provide the mapping feature – one which other robotic vacuums provide for accurate recharging, what it does offer is the freedom of never actually have to recharge it. That’s right when the RV750’s battery is low, it will automatically head back to its base. Go through the list of this Shark vacuum reviews, and you’d see that there are complaints about its bin size. For, users feel that the capacity of the bin is small. 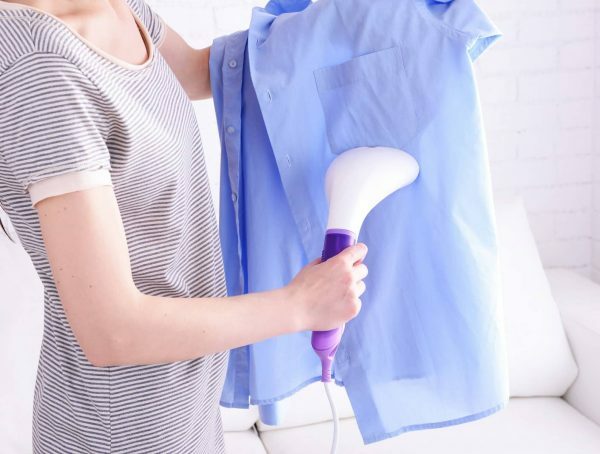 With a 15-foot long power cord, washable and reusable filters and one-touch operation, the Shark Rocket HV292 is certainly a high-end model. Will it suit your needs? Let’s find out. What makes the Shark Rocket best for dealing with pet hair is its TruePet Motorized Brush attachment. A powered tool, it takes care of pet hair, loose debris, and deeply embedded dirt. 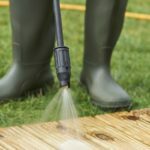 You can also use it to clean upholstery, car seats and low pile carpets. Next comes the extendable reach hose of this model which would save you from bending. Add to this its 15-foot long cord, and you can clean your entire house without hurting your back. 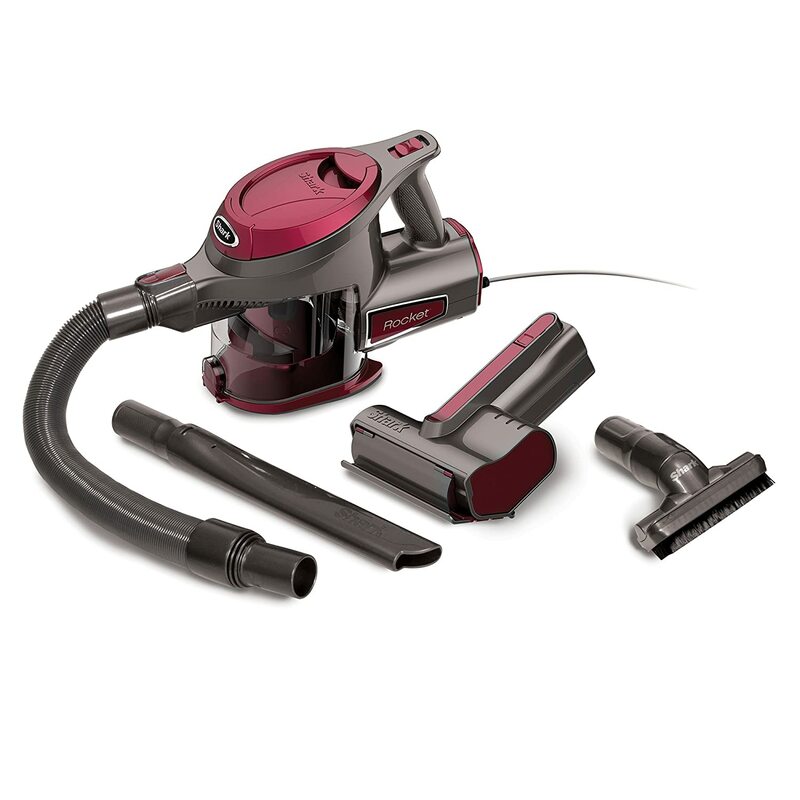 In contrast to some cheap Shark Vacuums, the Rocket HV292 comes with two cleaning modes. First among them is the carpet cleaning mode which is effective both for high as well as low-pile carpets. However, if it is a bare floor on which you’re seeing dirt, this vacuum’s hard floor mode will come handy. As for the fade free power, it does what it claims. It makes sure that regardless of the amount of dirt in the cup, the HV392 continues to provide equal suction power throughout its operation. That means you won’t have to deal with reduced suction power at the tail end of your cleaning. Beware, this model doesn’t have a one-touch operation. Instead, its one-touch operation is only limited to emptying the dust cup. That is, they come out on the press of a button, so you don’t have to manually pull them out. As for the reusable filters, they offer this facility because they are washable too. 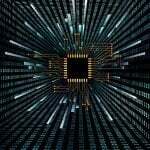 That means you would have to spend zero cost in the form of maintenance on this model. 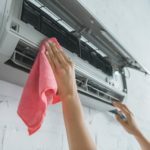 While reusable and washable filters no doubt add to the versatility of this model, the absence of HEPA filter is a major let down. 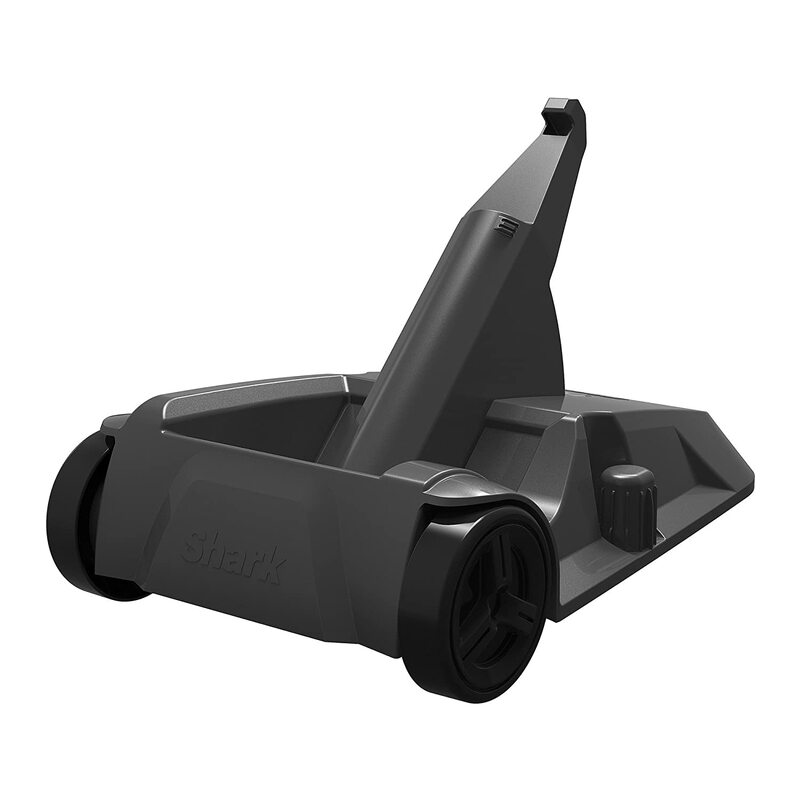 As stated earlier, Shark vacuum models come in various types – with each designed to clean a specific surface. 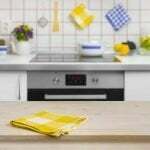 Therefore, if you want thorough cleaning, choosing a specific type would certainly help. Certainly, the most common style found in today’s homes, Shark upright vacuums don’t require you to bend while cleaning surfaces. 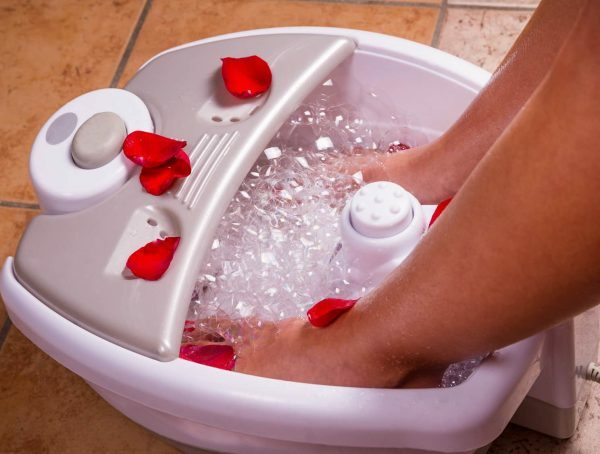 Most of them have a foot level pressing which you can change the angle of the cleaner. They also offer the added advantage of switching between bare and carpet floors. Also, while they weigh more than other models, these vacuums provide better suction power. 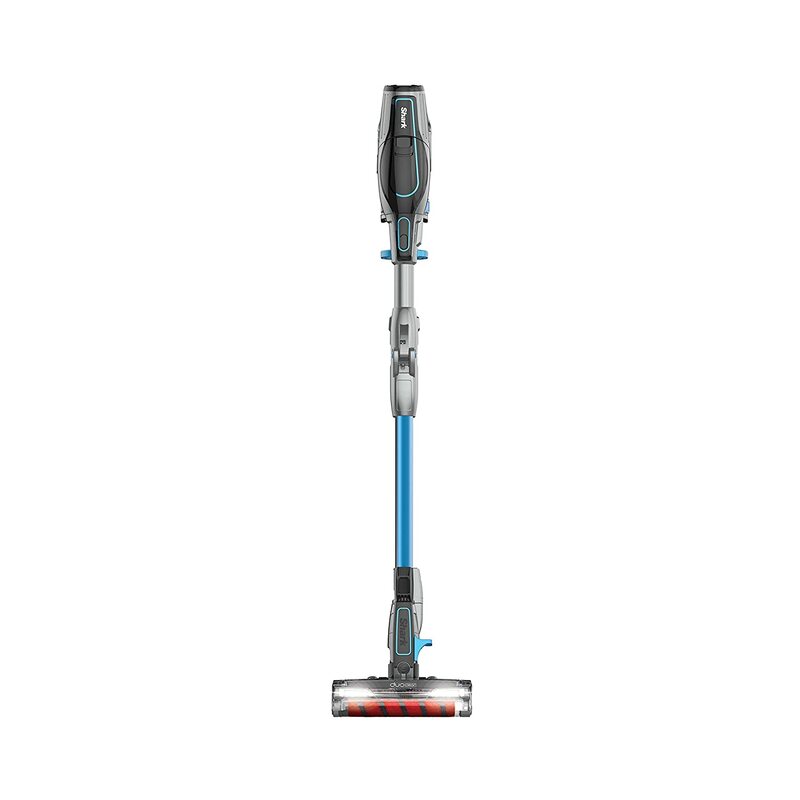 Hybrid of an upright and a handheld model, Shark stick vacuums offer the former’s cleaning power and latter’s maneuverability. They typically run on batteries, are lightweight and easy to store. Consequently, these vacuums can go where their corded counterparts can’t. However, since they run on batteries, the Shark cordless vacuums aren’t as powerful as upright vacuums. These vacuums have a main tank which is attached to a wand via a hose. 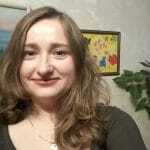 They are suitable for picking up pet hair, cleaning carpets, sofas, and chairs. One of the reasons why most people turn to canister vacuums is because of their performance on the stairs. That’s because they have a long wand which allows you to carry the canister and tackle each level one by one. Provided you want to do smaller jobs – like cleaning your car or removing dirt off of curtains – these mini-vacs are a great option. In contrast to what most people believe, not all handheld vacuums are cordless. On the flip side, you cannot use a handheld vacuum for the whole house cleaning. 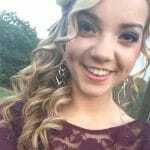 Instead, the best you can do with them is to use them as a supplement to your main vacuum. Go through Shark vacuum reviews, and you’d see that every user has a specific feature which they like – or hate – in their model. Fortunately for you, we’ll only discuss those features here which separate the top-rated Shark vacuums from the riffraff. Especially if you’re going to clean carpets with your vac, the height-adjustment feature is a godsend. It regulates the height of the vac based on the carpet pile’s thickness, hence allowing ease of cleaning. Though some vacs offer automatic adjustment, manual adjustment is more precise. In contrast to what most people believe, the utility of a revolving brushroll isn’t limited to homes with carpets. Instead, if you have pets in your home, having a revolving brush roll makes it easier for your vacuum to pick up their hair. The HEPA filter, meanwhile, is a must-have regardless of floor type. That is, because, they trap dust mites, pet dander and mold spores from the air that comes inside the vacuum. This mechanism allows HEPA filters to improve indoor air quality as well as prevent asthma and allergy flare-ups. 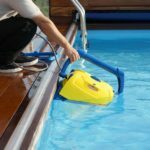 A feature which only Shark Navigator vacuums could boast of; it has a drive and transmission system to assist the user in the pushing and pulling of the vac. That means you’d have to expend less effort to move the vac around. On the flipside, this feature adds not only to the weight but also the price of the vac. That means you shouldn’t expect cheap sharp vacuums to have it. 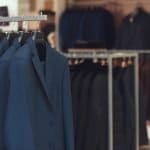 When you’re undecided between two models, use these extras as tie-breakers to make your decision. Pet Hair Attachment: Generally available in the form of a powered brushroll, this attachments make it a cinch to clean up after your furry friend. Crevice Tool: Thanks to its pointed shape, a crevice tool can go into tight sports like cracks and fissures to clean dust. Upholstery tool: To clean sofas, cushions, and chairs, make sure your vacuum has a fabric strip also known as upholstery tool. 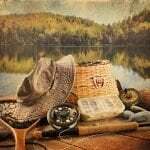 Ready to take some difficult decisions? Even if you aren’t, you have to because this section deals with questions based on your personal preferences. Starting with the former, it indicates the around the mouth of your vac would clean in one sweep. Needless to say that you should prefer a vac with a wider cleaning path if you want to clean the whole house. Conversely, if you are looking to clean a small room or stairs only, do the opposite. 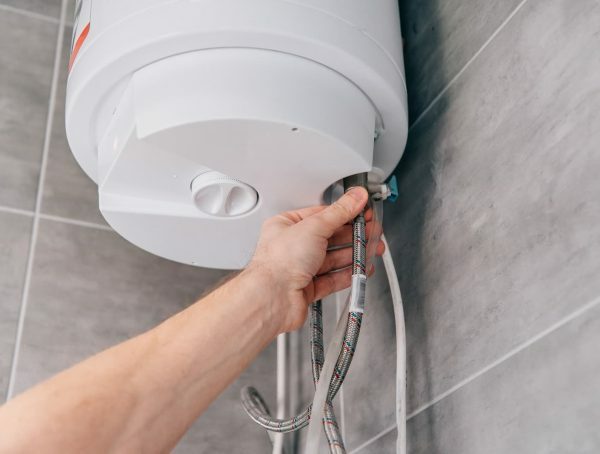 When choosing the suction power, this rule of thumb mostly stands: the more, the merrier. For, you’re never going to live in a place where there is no dirt. However, if you only want a handheld model to clean your RV’s seats – and nothing else, you might want to do the opposite. Even though bagless vacuums are in vogue these days, bagged vacuums are still in use. They hold more dirt and are reusable as well. However, one thing which they don’t have – and which bagless models offer – is transparency. That means you cannot tell when/if the bag is full without detaching it from the vac. If you’re buying a handheld vacuum, its powering mechanism will affect its maneuverability. A battery-powered model will undoubtedly offer more maneuverability, but at the cost of peace of mind because batteries don’t last forever. So, for house cleaning purposes, a corded vacuum is your best bet.